“We have been worried that the CFPB could revisit these rules. We just didn’t expect it so soon,” said Lauren Saunders with the National Consumer Law Center. The industry derives most of its profits from repeat borrowers: those who take out a loan, but struggle to repay it back in full and repeatedly renew the loan. So when the rules were finalized last year, the bureau estimated that loan volume in the payday lending industry could fall by roughly two-thirds, with most of the decline coming from repeat loans no longer being renewed. The industry, which operates more than 16,000 stores in 35 states, would likely see thousands of payday lending store closures nationwide. But most of these rules would not have gone into effect until August 2019. Since Obama-appointee Richard Cordray stepped down as director in November, the Trump administration has been moving quickly to clamp down on the bureau’s activities. The bureau is now under the control of Mick Mulvaney, also the White House’s budget director, who has called the bureau a “sick joke” in comments before he took this job. During the 2016 election cycle, when Mulvaney was still a Congressman from South Carolina running for re-election, he received $31,700 in contributions from the payday lending industry, according to data from the Center for Responsive Politics. The payday lending rules were finalized in the last weeks of Cordray’s tenure. There is a bill in front of Congress that would repeal the payday lending rules entirely as well. A total repeal of the rules, if the CFPB decides on one, could take years to wind itself through the appropriate regulatory channels. The CFPB would have to conduct research to show the current rules are not working, put out notices for repealing the rules, and consider public and industry comments, among other steps. The bureau started building a case for its current payday lending regulations back in 2012. 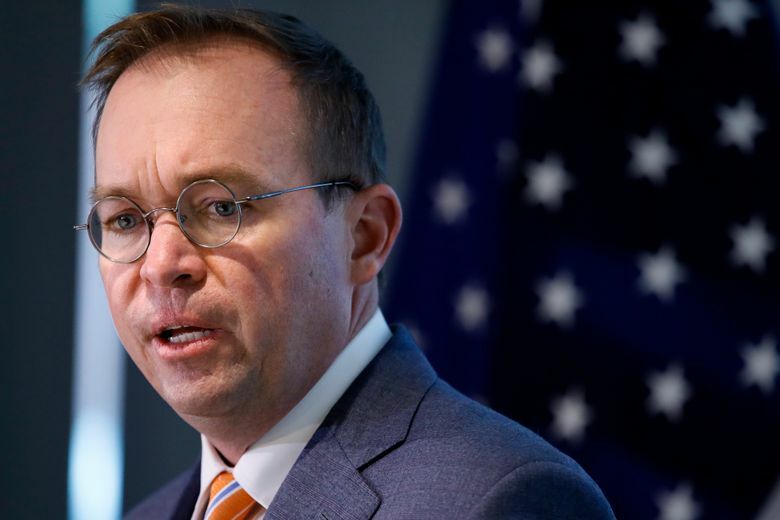 A CFPB spokesman referred questions about what specifically the bureau plans to do with the payday lending rule to Mulvaney’s office in the White House, which declined to comment beyond the original statement. Dennis Shaul, CEO of the Community Financial Services Association of America, which represents the payday lending industry, said he was “pleased” that the CFPB was revisiting the regulations.